I’ve enjoyed many great meals in my lifetime. I’ve had the opportunity to dine in some of the finest restaurants in the world. In my humble opinion, no gourmet meal can compare to a piping hot bowl of from-scratch macaroni and cheese. It’s like my kryptonite. Well, that and grilled cheese on freshly baked sourdough. And angel hair pasta with butter and parmesan. Note the carb theme, and the cheese theme. Yeah. Imagine how delighted I was to learn that my friends Stephanie Stiavetti and Garrett McCord wrote an entire cookbook dedicated to the art of macaroni and cheese! They thought outside the box, literally, and created a treasure of a cookbook. More “cheese and macaroni” than “macaroni and cheese,” these recipes celebrate a vast array of cheeses like Humboldt Fog, Bucherondin, Petit Basque and Beecher’s Flagship Cheddar (one of my all time favorites!). Substitutions are given for most cheeses should they prove difficult to locate. Wine pairings are also given, which reminds me of the time co-author Garrett McCord and I attended a Wine, Beer and Cheese Smackdown at the IACP conference in San Francisco. 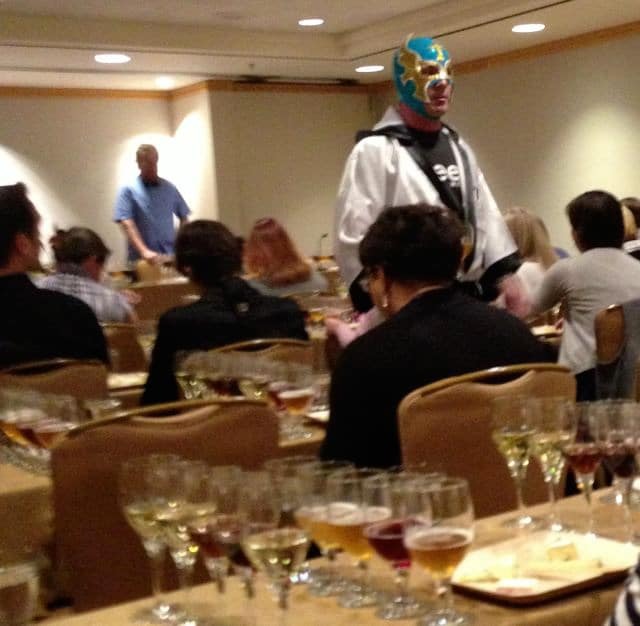 Wine and Beer experts dressed as Mexican wrestlers. I got tipsy. So. Much. Cheese. This is not a kosher cookbook, not even close. 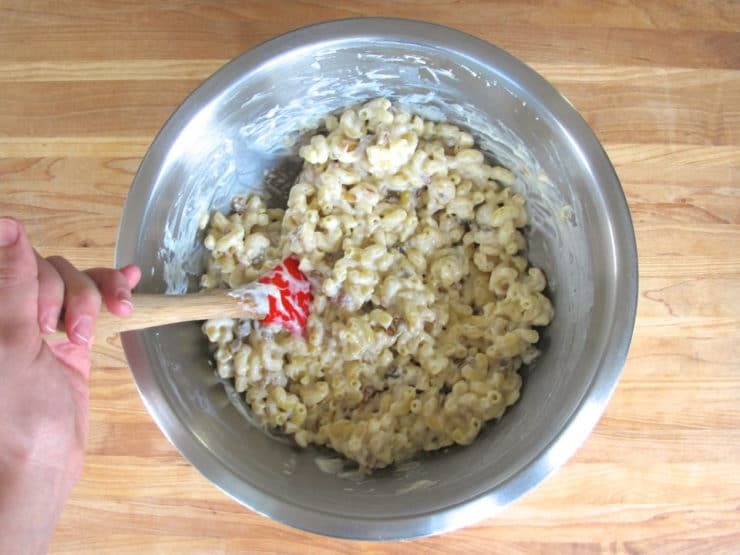 That said, I was able to find a few recipes that were adaptable for my kosher readers, including the gem featured in this post – Gouda Macaroni with Golden Raisins and Pine Nuts. In the book the suggested cheese for this recipe is Grand Ewe, a vintage sheep’s milk Gouda, however regular cow’s milk gouda is mentioned as a workable substitute. Gouda is pretty easy to track down kosher, and I must say it was fantastic in this recipe. One of the things I love most here is the ease of preparation. After a week of harried Thanksgivukkah cooking, the stovetop simplicity of this dish was a breath of fresh air. It took less than 20 minutes to make (and less than 5 minutes to inhale). There is nothing simple about the flavors, though. The salty savory cheese, the sweetness of the raisins, the crunch of the toasted pine nuts… it was layered, sophisticated, creamy, dreamy and perfect for serving on a chilly winter night. Melt – The Art of Macaroni and Cheese would make a great gift idea for the macaroni and cheese lover on your list! Buy your own copy here. 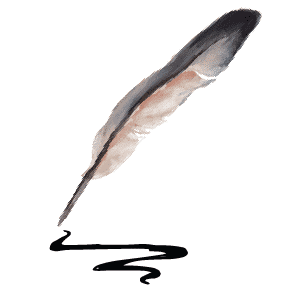 Also, be sure to check out Stephanie and Garrett’s fabulous food blogs – The Culinary Life and Vanilla Garlic. 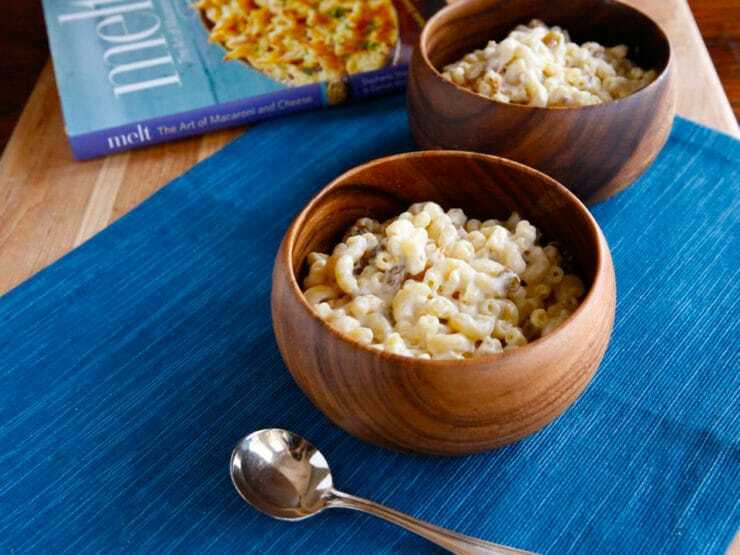 A comforting, simple, scrumptious recipe for Gouda Macaroni & Cheese with Golden Raisins and Pine Nuts from Melt, The Art of Macaroni and Cheese. 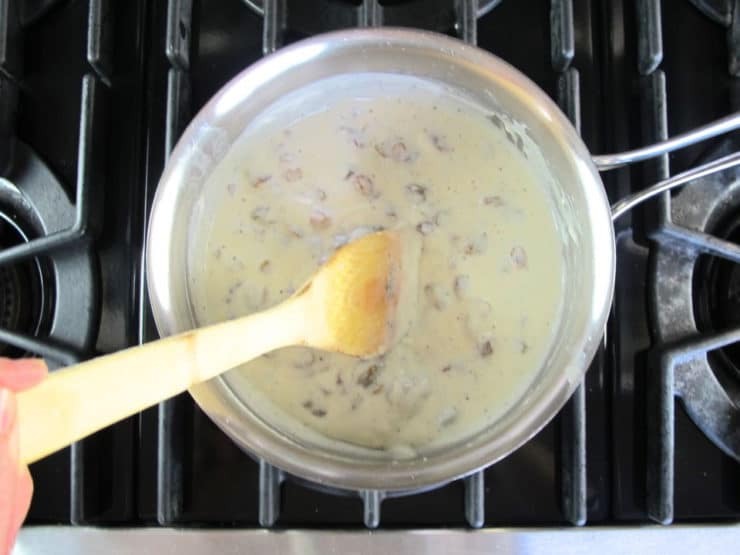 To prepare the mornay sauce, heat the milk in a small saucepan over medium heat. 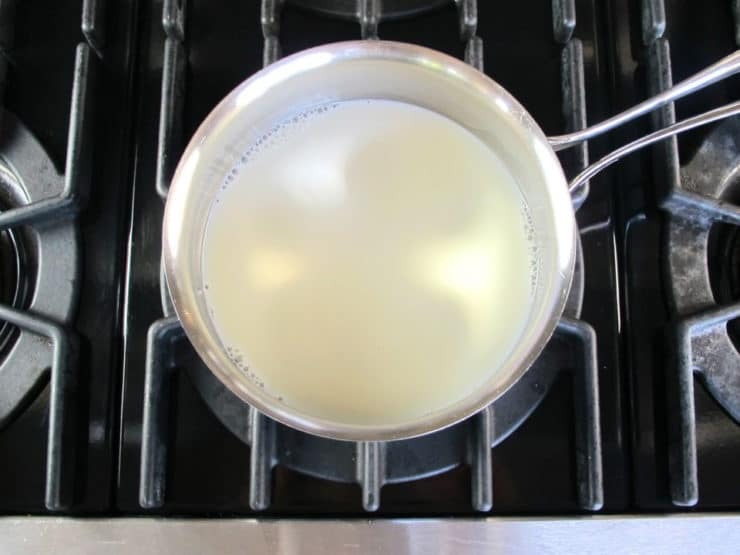 As soon as the milk steams and tiny bubbles form around the edges of the pan, turn off the heat. 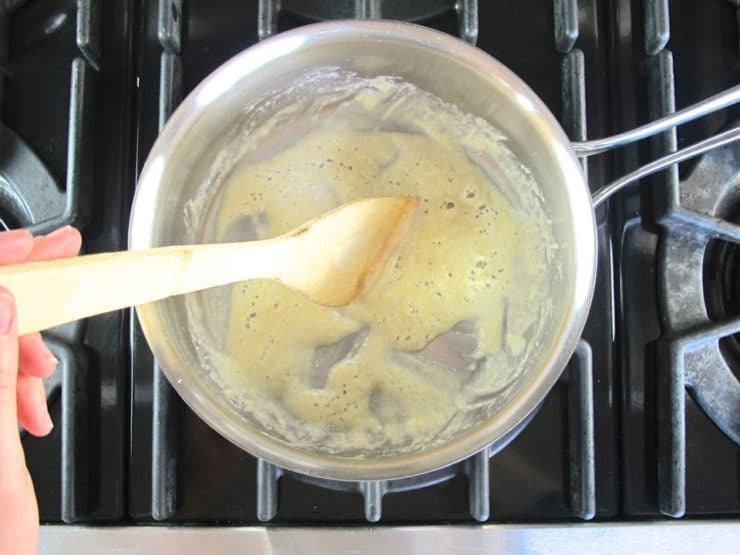 Place the butter in a medium saucepan and melt over medium flame. 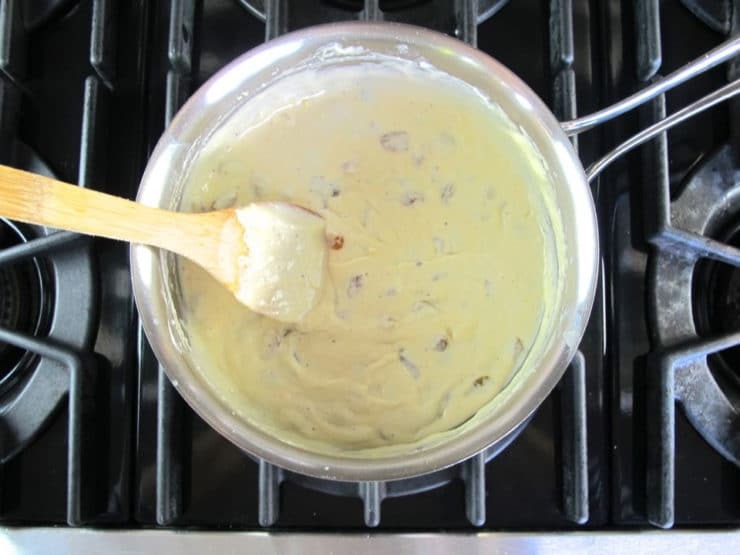 Add the flour and stir with a flat-edge wooden paddle just until the roux begins to take on a light brown color, scraping the bottom to prevent burning, about 3 minutes. 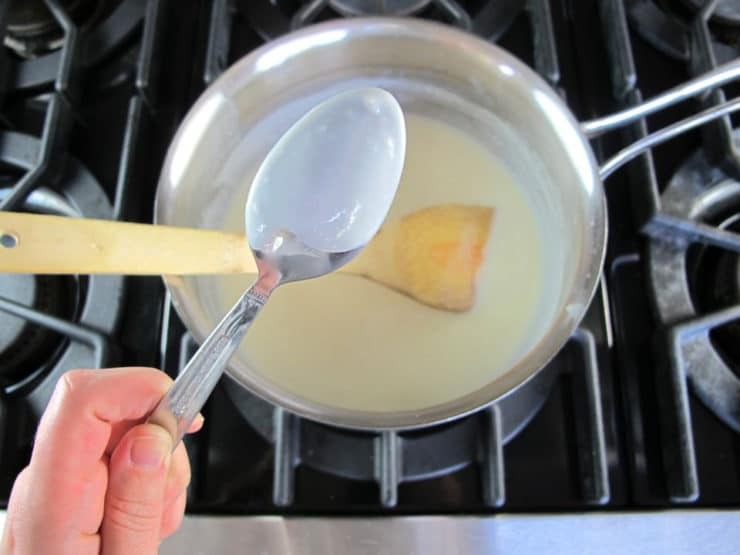 Slowly add the hot milk and stir constantly until the sauce thickens enough to evenly coat the back of a spoon - a finger drawn along the back of the spoon should leave a clear swath. Stir in salt, pepper and golden raisins. Cook for 1 minute, stirring constantly. Turn off heat, add Gouda and mascarpone, and stir until completely melted. Season with more salt and pepper to taste. If the sauce seems a bit thick, feel free to add more milk, 1/4 cup at a time, until you achieve your desired consistency (I ended up adding a 1/2 cup to make my sauce less thick and more smooth and creamy). Pour sauce over pasta and stir in the pine nuts. Serve warm. Additional pairings for the cheese: olives, prosciutto, apples. If making vegetarian, choose a gouda with a vegetarian rennet. I’ve now made this recipe twice. My husband and I decided the first time I made it that it’s a keeper! Tip for the carb watchers (as we are): Dreamfields Pasta makes elbow macaroni with much less carbs than regular pasta – tastes the same, without the guilt ; ) The golden raisins, toasted pine nuts and gouda are amazing!! Couldn’t find mascarpone here, so used sour cream, half and half, and cream cheese to substitute. Outstanding!!! Thanks for another amazing recipe, Tori! A happy and a healthy New Year!! I just made it – it is delicious! I love raisins and pine nuts and pasta and cheese, so I thought that all these ingredients together should make a wonderful meal, which they do! Toward the end of preparing I added some hot pepper flakes – the result was great. So everyone, please try this dish! 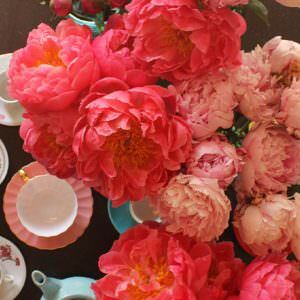 ….don;t understand why people need to leave remarks if they don;t like an ingredient, just don’t make it!! 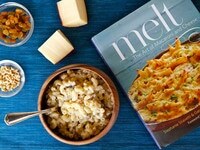 I will make this to go w/my prime rib, sounds yummy!! I wasn’t sure about this sweet and nutty combo recipe but we really enjoyed it for a cold snowy day’s lunch. I didn’t have the mascarpone in stock but made a substitute mixture of softened cream cheese, half and half and a little butter. We loved the nuttiness of the dish and decided to add some morel mushrooms to the leftovers. Yum. That’s is brilliant, Chaseburgmama! I will have to try that. Do you have the nutritional values for this dish(fat, carbs , fiber& protein )I’m on WW but sod love to try this dish but need to be able to figure out the point value . Hi Natalie, apologies but I don’t currently calculate the nutritional information on my recipes. The process is very time consuming and not always accurate. 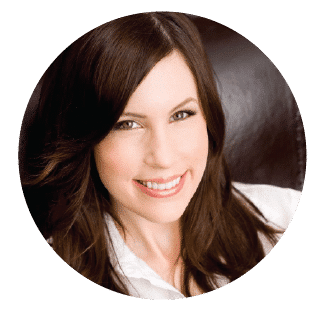 There are several nutrition calculators available online that you can use to plug in the ingredients yourself, though– Google “nutrition calculator” and you should find many options. Good luck! I am in a serious drool! We are waiting for the snow storm to hit, and mac and cheese would be wonderful! Out of pine nuts and will have to think of what to substitute, Could chop up some of my soaking almonds that I use for the milk. As a kosher consumer, I was upset today in Costco, because they were featuring their fresh mac and cheese, but it was not kosher, and it had white pasta! Great receipt, I have to cook it for my family. I agree with the carb and cheese theme. Mac and cheese is one of my favs. The best of Horn & Hardart, z”l. The published H&H recipes have never accurately duplicated the real thing, at least in my kitchen. Looks amazing!!! Can’t wait to make it! I made this recipe for my review too, and I completely concur, Tori! The cheese is lovely in it, but the pine nuts for crunch and added butteriness were perfect. And it needed the raisins to keep it from seeming too rich–the bright, fruitiness helped. This was a well thought out dish that we absolutely loved, too! I love the addition of raisins and pine nuts in here, and the fact that it doesn’t take forever to make a batch? Just awesome!! Give me the gouda. Can do without the raisins and pine nuts. I 100% agree! Raisins seem to make there way into way too many things they don’t belong in. I can’t tell you how many times I’ve spit something out after biting into a raisin that made no sense in such a dish! 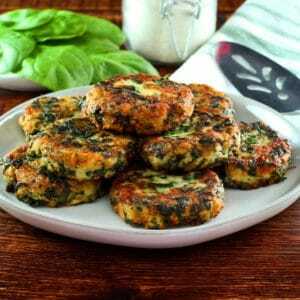 Gives the dish somewhat of an Indo-Persian flavor. Actually, I had a taste of this…the sweet/salty is really good! possible typo? prep time 20 HOURS?! Other than that, what time is supper? Where does it say prep time 20 hours Peggy? On my computer I see 20 minutes total cooking time. Mmmmmm perfect for the cold weather coming this week. Thank you for such a kind review (and reminding me of our Luchadore-led tasting)! Thank you, thank you, thank you! SO glad you enjoy the book!